Now that the dust has finally settled, it’s time to leave Vault 76 and reclaim the land. 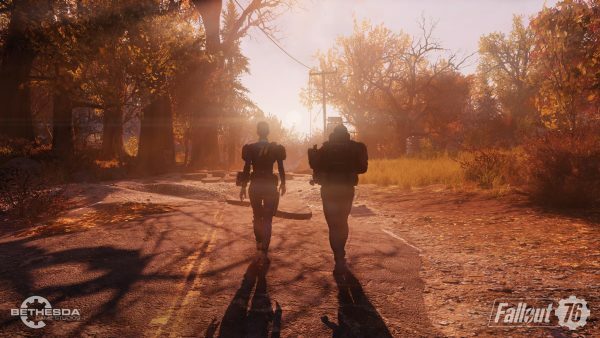 Fallout 76 went live on November 14 and brings with it a new flavour to the Fallout franchise, encouraging player cooperation, a healthy dose of PvP action and a distinct lack of NPCs. If you’ve never played a Fallout game before or are just getting started, check out our top tips you should know before playing Fallout 76. We also have a short FAQ guide that covers how to pick up your CAMP, what to do if you lose your character and how to save your progress. Fallout 76’s map is huge, so here’s a quick guide for all the key areas. Here’s where to find your Tricentennial Edition DLC extras. Here’s our guide to completing the Order of Mysteries questline. We know cheaters never prosper, but here’s the answers to the Fire Breathers exam in the Into the Fire quest. Quite simply, where to find a big ol’ suit of Power Armour. Bobbleheads are a little harder to find in Fallout 76, so here’s the ones we know about. Here’s where to find some top vendors in Fallout 76. If you go on a killing spree, you’ll be punished accordingly. Fallout 76 uses a card system when levelling up, so here’s a helping hand to understand the changes. You can share some skills with your teammates, providing you have the right Perks. All the factions you can join in Fallout 76. PvP factions will be coming to Fallout 76 soon, along with new vaults and missions. Here’s our guide to understanding Atoms, where to get them and how to spend them. Bobby pins are inexplicably heavy in Fallout 76. Some trophies and achievements aren’t unlocking post-beta, so here’s what you can do to fix it. Here’s how to change the FOV and more on PC. PC players have been requesting a push-to-talk function since the beta, so expect some changes soon. New factions, vaults, missions and more – check back here for regular Fallout 76 updates.